How many times does the mayor’s photo appear in the council newsletter? A few years ago I noted that the Glen Eira News local council newsletter featured six photos of the mayor in twelve pages. The current mayor is Jamie Hyams, who I’ve met a couple of times, and I’m happy to say has an interest in improving public transport — I believe he was behind Glen Eira joining the Metropolitan Transport Forum to help lobby the state government for better services. 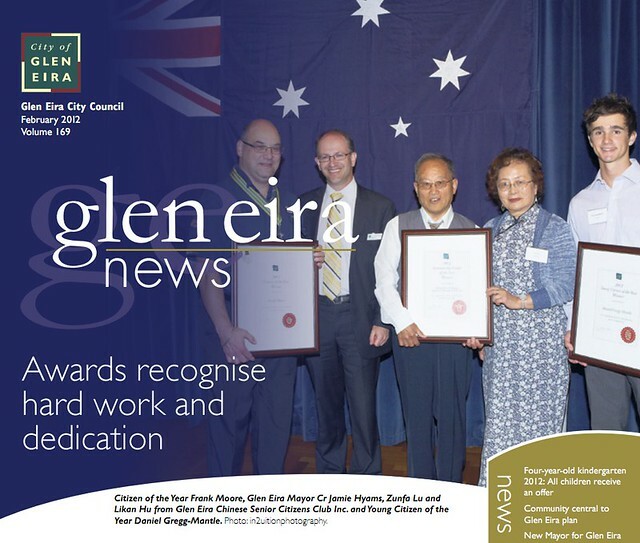 The latest edition of the Glen Eira News just arrived, and Cr Hyams photo features seven times in sixteen pages — a slight reduction in photos per page, from 0.5 to 0.44. How do other council newsletters rate? ← Previous Previous post: Fewer seats? – How many seats do we want on our trains?